Happy Leap Day to you all. It's the second one we've had together at GottaBook... and it's my second Leap Day poem, too. Grab my phone and play a game. And I'm - OOH! They called my name! In a different, dull, brown room. Like a nervous, anxious groom. Yes, I'm waiting, waiting, waiting. Boom! The doctor comes! I'm done. I'm healthy as can be. Whenever I post poems about doctors or travel or manuscripts or other things that can called be "adult concerns," folks assume they are autobiographical. They are all drawn from experience and observation, of course, but in this case I want to note that no one needs ask how I am (or how anyone else specifically is). Honest! If you'd to get all the GottaBook poems emailed to you for freeee as they hit the blog, enter your email address in the box below then click subscribe! This week's Poetry Friday roundup is over at Jone's blog, Check It Out. I urge you to listen to the name of her blog and check it out! Some days I do all my homework. And cleaning my room? Nothing to it! As long as I’m choosing to do it. Over at The Happy Accident, I blogged about guilt and negative feelings about social media. Seems like many of us are feeling it, as you'll note in the comments. The small irony is I posted there after a long gap in posting, while I was still posting here. But I note I haven't blogged since Wednesday here, either. I do not, however, feel guilty. There'll be a follow-up post soon about possible solutions to the negative feelings, too. You know, when I have time! :-) In the meantime, I'd love to hear your thoughts! Let’s talk again when I’m forty. The Cybils awards have been announced! This is an exciting day in the Kidlitosphere, I think, as these are truly OUR awards. I love the choice in poetry this year - Paul Janeczko's Requiem: Poems of the Terezin Ghetto. I wish I'd been in on the conversations, but I've had that privilege enough years to know it was high quality, insightful, funny, and carefully done. 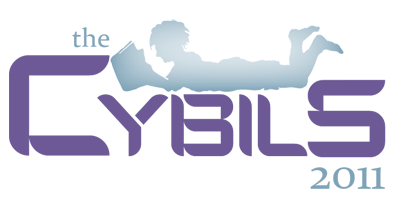 If you're looking for books to read and recommend, the Cybils list is a great place to start. Go on and check 'em out. Wake and shoot some hoops with Dad. 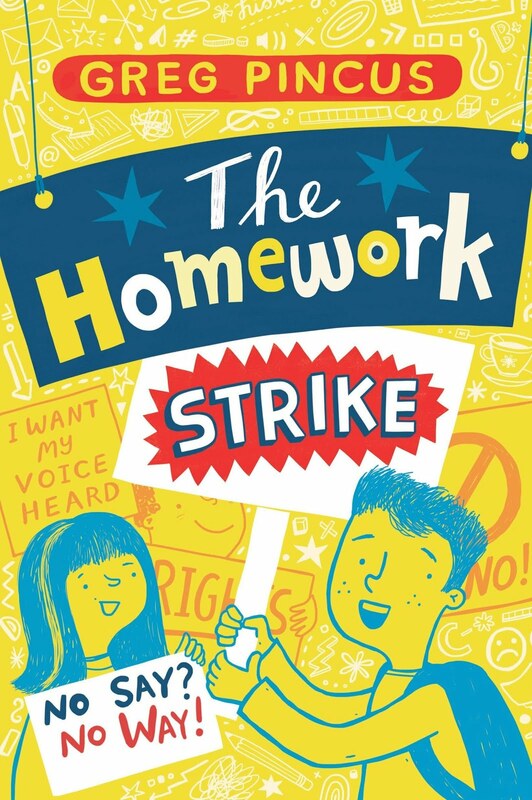 Finish homework (not so bad!). Ride my skateboard on my street. A soccer game down at the park? Play with friends until it’s dark. I love a lazy day! For reasons unknown to me, this poem has been stuck in my head lately. 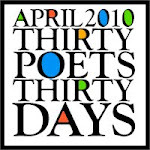 I figured that was a good reason to re-post it (it first appeared here in April of 2008) You can see what else folks are up to if you head on over to the Poetry Friday roundup (hosted by Laura Purdie Salas). Tomorrow night, at 9 PM Eastern/6 PM Pacific, #kidlitchat (on Twitter) will be all about self-publishing (with a focus on the children's book world, of course). Is YA the only viable path? Do board books work? How much work is it? Why should I or shouldn't I self-publish? Those are just a few of the areas we expect to come up. Last time we had a similarly themed chat, it was very high quality and very respectful. We expect the same this time, so I do hope you join us. If you're new to Twitter chats, please check out this info from Debbie Ridpath Ohi so you can dive in tomorrow night. And I'll see you there! Cause goose bumps, sore throats, thrills. I’m linebacker. I’m running back. I’m safety, tight end, guard. Each inch, each foot, each yard. I catch the ball. Defenders chase! You watch the screen. I’m playing hard. That TV game is boring. It's Super Sunday here in the States, so if you, like me, are watching the game, I do hope you enjoy that game and that it's anything but boring! It’s a book that’s for me. The Poetry Friday roundup is being hosted by Karissa at the Iris Chronicles. Head on over and see the poetry joy. Of a snow day off from school! And a Happy Groundhog Day to you all, whether you're for or against the predicted six more weeks o' winter. Are you a teacher or librarian and want to have a free Skype visit from an LA-area YA author? Good! Because you have a chance to win a visit as long as you're outside Los Angeles county. There are eight wonderful authors joining in to help celebrate YALSA's teen tech week, and that means eight visits are available. Good luck! Fab thing two: my friend Danny Rubin, the screenwriter of Groundhog Day, has a really wonderful new eBook out. It's called How To Write Groundhog Day, and I think it's a great read for any writer. Yes, some of it is Hollywood specific, but Danny breaks down the process of turning a concept into something as, well, as fantastic as Groundhog Day in a way I really haven't seen before. Plus, he's funny! I highly recommend it. 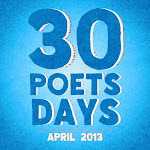 And fab thing three is this interview with David L. Harrison (a 30 Poets/30 Days contributor, I quickly add). For those who wear many hats or have many passions - teaching, writing, music, business, whatever - the way he explains how things intertwined for him is really fascinating. Wearing my social media consultant hat for a moment here... I've just started offering Twitter classes for small groups (in person or via Skype). That link will take you to all the information, or feel free to email me.. And I'll see you on Twitter!